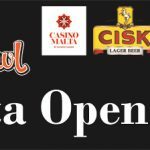 The Malta Open is back. 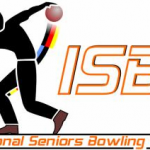 Happening between 12th June and 16th June 2019 at the Eden SuperBowl in St. Julians, Malta, it is open to all bowlers who are current members in a National Association/Federation. DIRECTOR: The director of the tournament shall be the Manager of the Eden SuperBowl, whose decision on all matters will be final, subject to an appeal to the MTBA and ETBF. ELIGIBILITY: This tournament is open to all bowlers who are current members in good standing of a bona fide National Association/Federation. 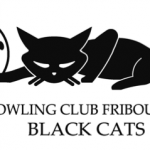 MIXED DIVISION: Male and female competitors will bowl in one mixed division, and a bonus of 8 pins per game will be awarded to all female competitors throughout. TIES: In the event of a tie in the Qualification Round, Final Stage 1 or Final Stage 2, the player with the highest last game shall take the highest position. If a tie still exists, then the player with the highest penultimate game shall take the higher position, and so on until the tie is broken. In the event of a tie in the Any Game Turbos or Desperado Squad the bowler with the highest position from the Qualification Round shall take the higher position. In the event of a tie in any of the Knock-Out stages or Grand Final, a one ball roll off on a full set of pins will be played, repeated until the tie is broken. DISPUTES: A provisional ball will be rolled in the case of a dispute which cannot be decided on the spot. Any protests must be submitted in writing to the tournament Director within 30 minutes of the game in which the infraction occurred. GENERAL: All competitors must register at least 30 minutes prior to their scheduled bowling time. 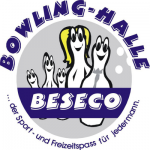 Bowlers who have not registered at the time practice starts, shall be disqualified and replaced by the next reserve in the Qualifying Round or Desperado Squad. Bowlers arriving late for the other stages will be permitted to bowl from the current frame onwards – no replacements will be allowed. Any bowler who may be, in the opinion of the Tournament Director, under the influence of alcohol at any time during the course of bowling, will be disqualified. If a bowler is caught smoking during a game, the penalty will be zero pinfall in that game. If a bowler is caught smoking between two games of a block of games, the penalty will be zero pinfall in the succeeding game. All competitors must be suitably dressed during play. Jeans and sleeveless shirts are prohibited, and any shorts worn by male competitors must be of a suitable length, i.e. 3/4 length (below the knee). Any Game Turbo Fee is €15.00. QUALIFYING ROUND: Regular qualification will be over 12 games (two series of 6 games). 6-game re-entries (unlimited, subject to availability) will be possible in order to replace the lower of the initial two series, providing the re-entry score is higher than said initial series. If not, the initial series total will be retained. The highest of the initial two series must be retained for the qualification total. Re-entry reservations will be taken on a first-come, first-served basis, with waiting lists made where necessary. ANY GAME TURBO: The Any Game Turbo is a bowler’s high game, including ladies bonus, within any six-game series. For all twelve initial qualifying games to be included, two Any Game Turbo entries will be required (one for each six-game series). Any Game Turbo registrations must be done before the selected qualifying squad begins. DESPERADO SQUAD: 1 game, immediately after the final qualifying squad (Squad H). Lanes will not be re-dressed for the Desperado Squad, and there will be no lane alternation i.e. Desperado bowlers will bowl all ten frames on the same lane. There will be a 5-minute practice session before the Desperado game commences. FINAL STAGE 1: 24 bowlers (qualifying positions 13 – 36) will play 4 games from scratch. Top 12 will go through to Final Stage 2. Non-qualifiers from this stage shall be ranked 25th – 36th accordingly. FINAL STAGE 2: 18 bowlers (qualifying positions 7 – 12, plus 12 from Final Stage 1) will play four games from scratch. Top 10 will go through to Final Stage 3. Non-qualifiers from this stage shall be ranked 17th – 24th accordingly. FINAL STAGE 3: The top 16 bowlers will play 2-game Knock-Outs for total pinfall, including any bonuses. The top 6 bowlers from the Qualifying Round will be seeded 1st to 6th for this stage, while the 10 qualifiers from Final Stage 2 shall be seeded 7th to 16th. Non-qualifiers from this stage shall then be ranked 9th – 16th according to their previous seeding. FINAL STAGE 6 – GRAND FINAL: 2-Game Knock-Out match for total pinfall will decide the Champion and Runner Up, of the Malta Open Championships.